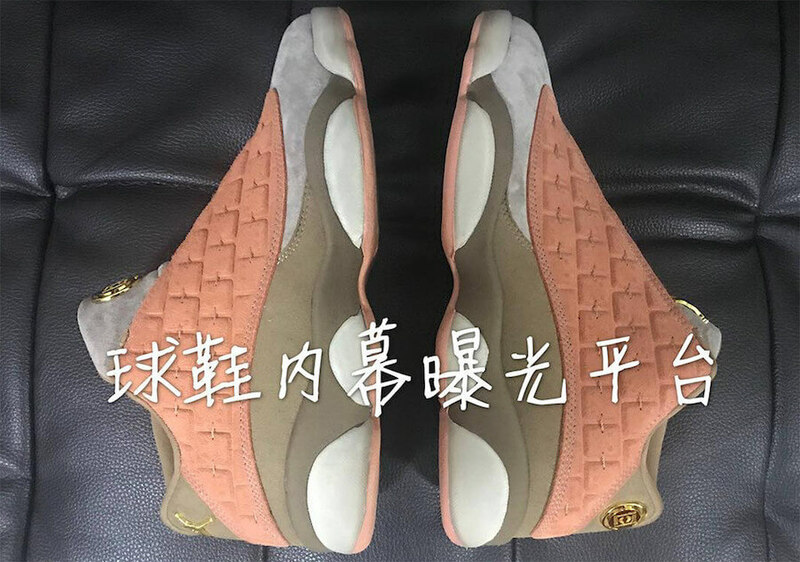 Jordan Brand and Streetwear label Clot are joining hands in order to produce a collaborative Air Jordan 13 sneaker for this upcoming season of 2018. 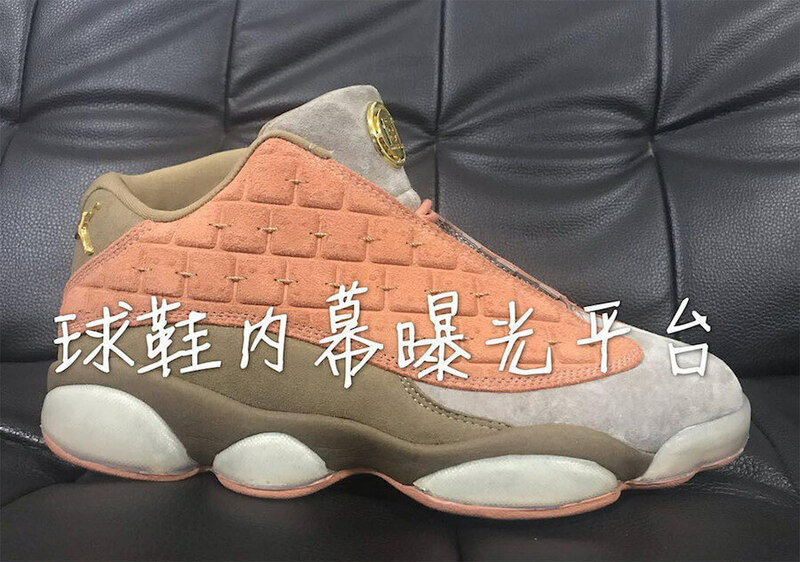 The shoe features a very distinctive and unique design as it comes complemented with a brick-like suede texture on the sides. 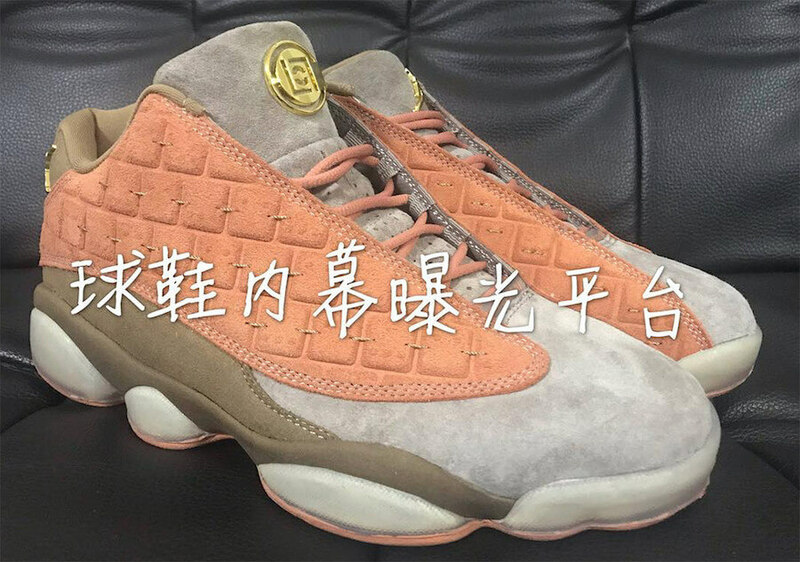 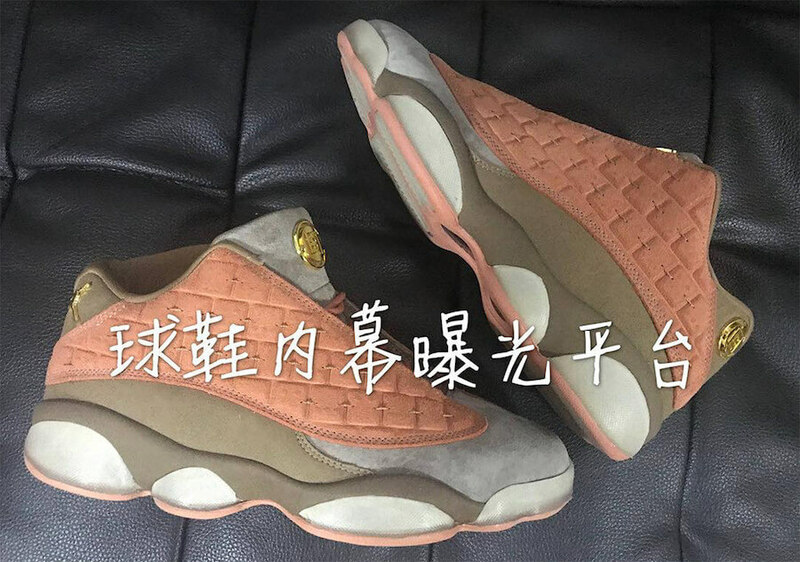 Furthermore, this particular Air Jordan 13 has been enhanced with Olive and Grey Suede upper highlighted by Metallic Gold Clot x Jumpman logos placed on its tongues and heels. 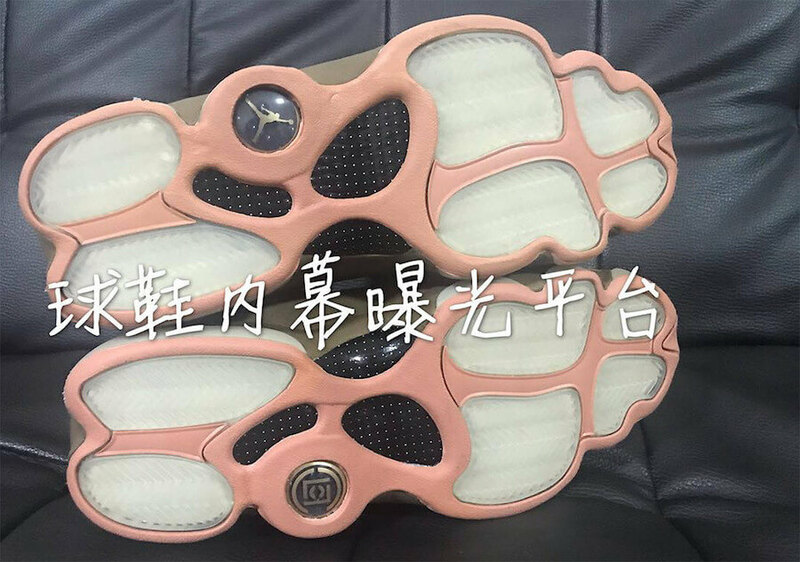 Finally completing the design altogether is a translucent and Pink outsole. 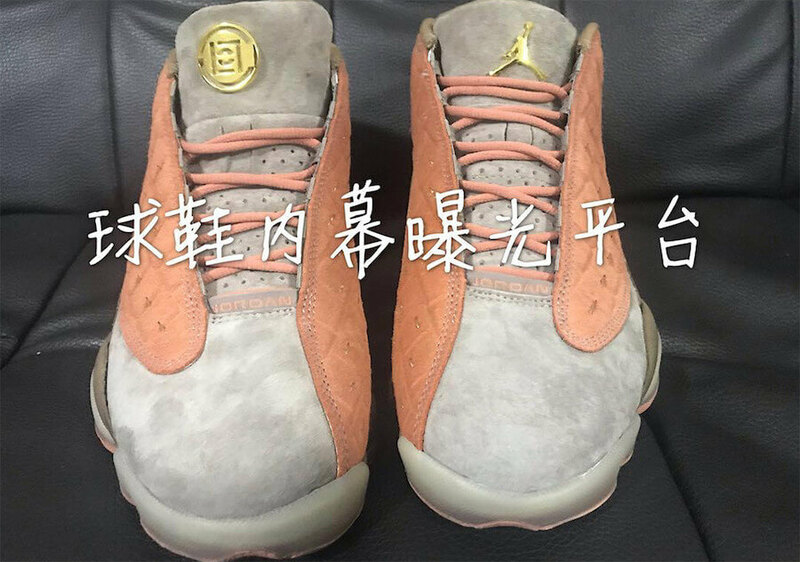 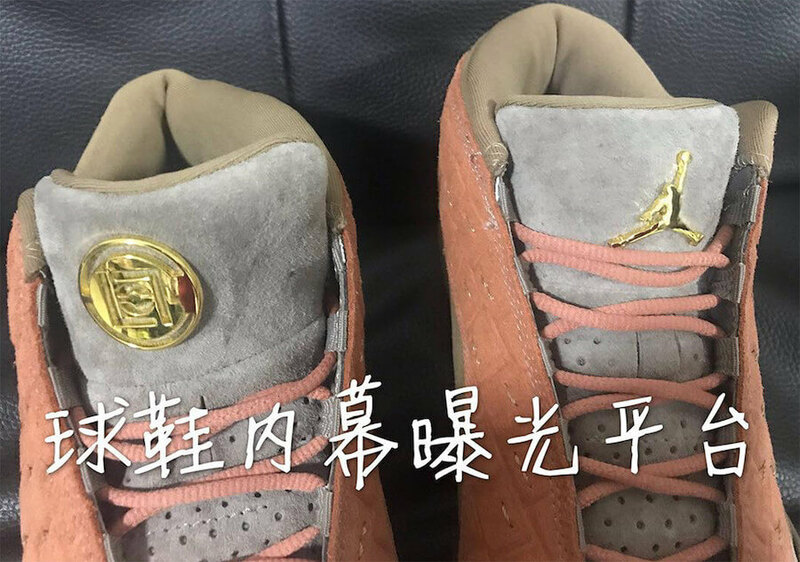 No official release date has been announced yet but you can check out some detailed images below.